Right now my focus has been on the insanity of filling a very big role, Abby, one of the two old aunts who "help elderly gentlemen find peace" by poisoning them. For those who don't know either the classic comedy as a movie or play, it's a fun show BUT I made the mistake of accepting the role thinking it was a featured, not a leading role. Why have I returned to occasional acting as time permits? I've never had a good memory, in fact long ago I switched to directing to avoid it. I love that storytelling is like a snowflake with each program being an interaction between storyteller and the audience. Once a teacher who enjoyed my work introduced me as having "memorized all these wonderful stories" -- I corrected her and said they weren't memorized, I know them "by heart." Memory is tricky and will let you down when you least expect it. Just ask my fellow actors. it's a delightful tale (still in copyright), but he felt it was being told constantly. There was no fear of me telling it because the story includes several long challenging jump rope rhymes. In one storytelling anthology, A Storyteller's Choice, it is labeled "For the experienced storyteller." I know I am, but don't trust myself on the memorization. Today's story is in the same category, but I've found ways to have all the many gifts in the story in writing near me so I can concentrate on the story. It's a great tale for the holidays, including Thanksgiving and Christmas, but isn't about either. It's from Andrew Lang's 19th century series of rainbow colored folk tale anthologies and there is titled the "Story of Wali Dad the Simple-Hearted." I have the Dover edition shown here, a serviceable paperback that probably can't survive lots of scanning. Similarly some books in my personal collection were library books that had a rebinding making it hard to open them fully for copying because of the process. 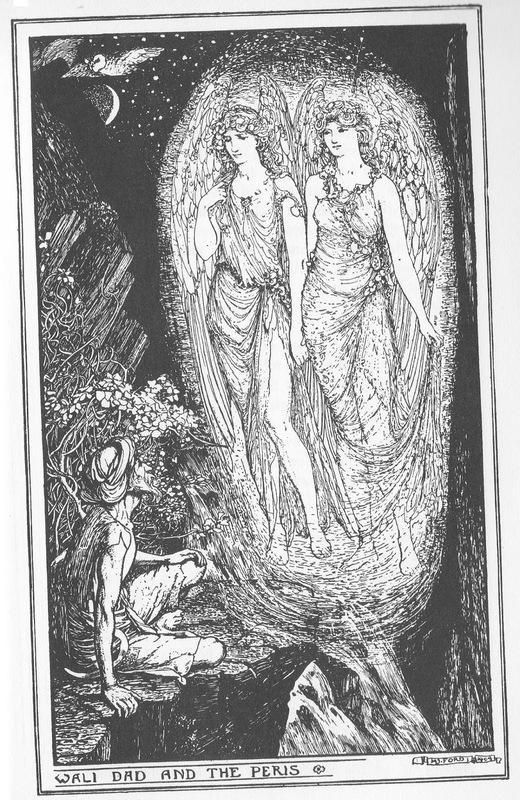 The works of Andrew Lang are all over the internet and I recommend one of my favorite sources, Project Gutenberg, and hope you, too, support them. In this case it's extra important because they list 128 of his 249 books and there are many more worth discovering. (My favorite nearly unknown book is his Prince Prigio, a comic novel about a prince cursed by a fairy to be "too clever.") 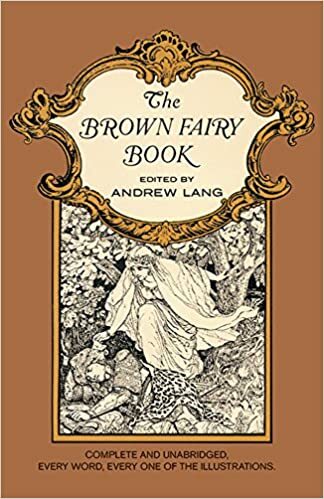 If you read a bit about Lang, there's the usual Wikipedia article, or you can catch the article in "The Scotsman" about Andrew Lang: the life and times of a prolific talent", or the brief biography at Literature Network, all show his work goes far beyond the beloved rainbow series. 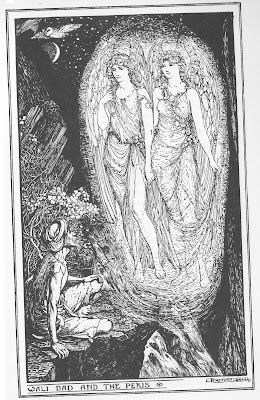 It takes another Wikipedia article, however, Andrew Lang's Fairy Books, to show the series went against the critical opinion of the time (1889-1910) which held fairy tales were too brutal and unreal for children and unworthy of an adult's serious consideration. Because of his collecting the tales, the 1890s and early 20th century saw a flourishing interest in folklore. Unlike the typical 19th century anonymity of a woman's contribution, Andrew Lang acknowledged his wife, Leonora's assistance. I own a little of her work and see even more worth reading at Project Gutenberg and so there's even more hidden gems for storytelling. For an index to the many stories in the Rainbow series, go to Flying Chipmunk Publishing. There are a multitude of online Lang texts, but they omit the illustrations by H.J. Ford. Many are at SurLaLune Fairy Tales, often wearable, but unfortunately not the one for today's story. I'll scan it and let it follow today's story. I'll use Lit2Go's text and recommend the site as it's also useful to teachers and homeschoolers, even giving a readability level. Once upon a time there lived a poor old man whose name was Wali Dad Gunjay, or Wali Dad the Bald. He had no relations, but lived all by himself in a little mud hut some distance from any town, and made his living by cutting grass in the jungle, and selling it as fodder for horses. He only earned by this five halfpence a day; but he was a simple old man, and needed so little out of it, that he saved up one halfpenny daily, and spent the rest upon such food and clothing as he required. In this way he lived for many years until, one night, he thought that he would count the money he had hidden away in the great earthen pot under the floor of his hut. So he set to work, and with much trouble he pulled the bag out on to the floor, and sat gazing in astonishment at the heap of coins which tumbled out of it. What should he do with them all? he wondered. But he never thought of spending the money on himself, because he was content to pass the rest of his days as he had been doing for ever so long, and he really had no desire for any greater comfort or luxury. Early next morning he staggered off with his sack of money to the shop of a jeweller, whom he knew in the town, and bargained with him for a beautiful little gold bracelet. With this carefully wrapped up in his cotton waistband he went to the house of a rich friend, who was a travelling merchant, and used to wander about with his camels and merchandise through many countries. Wali Dad was lucky enough to find him at home, so he sat down, and after a little talk he asked the merchant who was the most virtuous and beautiful lady he had ever met with. The merchant replied that the princess of Khaistan was renowned everywhere as well for the beauty of her person as for the kindness and generosity of her disposition. With that he pulled the bracelet from his waistband, and handed it to his friend. The merchant was naturally much astonished, but said nothing, and made no objection to carrying out his friend’s plan. Some months later he got home again from his journeyings, and proceeded to take Wali Dad the princess’s present. Great was the perplexity of the good man to find a camel-load of silks tumbled at his door! What was he to do with these costly things? But, presently, after much thought, he begged the merchant to consider whether he did not know of some young prince to whom such treasures might be useful. ‘Very well, then, take the silks to him, with the blessing of an old man,’ said Wali Dad, much relieved to be rid of them. So, the next time that the merchant journeyed that way he carried the silks with him, and in due course arrived at Nekabad, and sought an audience of the prince. When he was shown into his presence he produced the beautiful gift of silks that Wali Dad had sent, and begged the young man to accept them as a humble tribute to his worth and greatness. The prince was much touched by the generosity of the giver, and ordered, as a return present, twelve of the finest breed of horses for which his country was famous to be delivered over to the merchant, to whom also, before he took his leave, he gave a munificent reward for his services. As before, the merchant at last arrived at home; and next day, he set out for Wali Dad’s house with the twelve horses. When the old man saw them coming in the distance he said to himself: ‘Here’s luck! a troop of horses coming! They are sure to want quantities of grass, and I shall sell all I have without having to drag it to market.’ Thereupon he rushed off and cut grass as fast he could. When he got back, with as much grass as he could possibly carry, he was greatly discomfited to find that the horses were all for himself. At first he could not think what to do with them, but, after a little, a brilliant idea struck him! He gave two to the merchant, and begged him to take the rest to the princess of Khaistan, who was clearly the fittest person to possess such beautiful animals. The merchant departed, laughing. But, true to his old friend’s request, he took the horses with him on his next journey, and eventually presented them safely to the princess. This time the princess sent for the merchant, and questioned him about the giver. 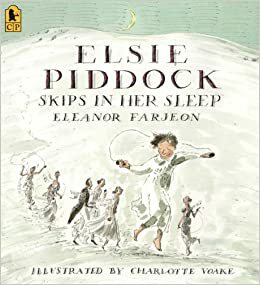 Now, the merchant was usually a most honest man, but he did not quite like to describe Wali Dad in his true light as an old man whose income was five halfpence a day, and who had hardly clothes to cover him. So he told her that his friend had heard stories of her beauty and goodness, and had longed to lay the best he had at her feet. The princess then took her father into her confidence, and begged him to advise her what courtesy she might return to one who persisted in making her such presents. ‘Well,’ said the king, ‘you cannot refuse them; so the best thing you can do is to send this friend at once a present so magnificent that he is not likely to be able to send you anything better, and so will be ashamed to send anything at all!’ Then he ordered that, in place of each of the ten horses, two mules laden with silver should be returned by her. Thus, in a few hours, the merchant found himself in charge of a splendid caravan; and he had to hire a number of armed men to defend it on the road against the robbers, and he was glad indeed to find himself back again in Wali Dad’s hut. The merchant felt handsomely repaid for his trouble, and wondered greatly how the matter would turn out. So he made no difficulty about it; and as soon as he could get things ready, he set out for Nekabad with this new and princely gift. This time the prince, too, was embarrassed, and questioned the merchant closely. The merchant felt that his credit was at stake, and whilst inwardly determining that he would not carry the joke any further, could not help describing Wali Dad in such glowing terms that the old man would never have known himself had he heard them. The prince, like the king of Khaistan, determined that he would send in return a gift that would be truly royal, and which would perhaps prevent the giver sending him anything more. So he made up a caravan on twenty splendid horses caparisoned in gold embroidered cloths, with fine morocco saddles and silver bridles and stirrups, also twenty camels of the best breed, which had the speed of race-horses, and could swing along at a trot all day without getting tired; and, lastly, twenty elephants, with magnificent silver howdahs and coverings of silk embroidered with pearls. To take care of these animals the merchant hired a little army of men; and the troop made a great show as they travelled along. When Wali Dad from a distance saw the cloud of dust which the caravan made, and the glitter of its appointments, he said to himself: ‘By Allah! here’s a grand crowd coming! Elephants, too! Grass will be selling well to-day!’ And with that he hurried off to the jungle and cut grass as fast as he could. As soon as he got back he found the caravan had stopped at his door, and the merchant was waiting, a little anxiously, to tell him the news and to congratulate him upon his riches. The merchant at first objected to these remarks, and pointed out to Wali Dad that he was beginning to feel these embassies a little awkward. Of course he was himself richly repaid, so far as expenses went; but still he did not like going so often, and he was getting nervous. At length, however he consented to go once more, but he promised himself never to embark on another such enterprise. So, after a few days’ rest, the caravan started off once more for Khaistan. The princess agreed with all that her father said, and orders were issued for vast numbers of elephants and camels, and gorgeous tents and flags, and litters for the ladies, and horses for the men, to be prepared without delay, as the king and princess were going to pay a visit to the great and munificent prince Wali Dad. The merchant, the king declared, was to guide the party. The feelings of the poor merchant in this sore dilemma can hardly be imagined. Willingly would he have run away; but he was treated with so much hospitality as Wali Dad’s representative, that he hardly got an instant’s real peace, and never any opportunity of slipping away. In fact, after a few days, despair possessed him to such a degree that he made up his mind that all that happened was fate, and that escape was impossible; but he hoped devoutly some turn of fortune would reveal to him a way out of the difficulties which he had, with the best intentions, drawn upon himself. Day after day they moved on, and every day the poor merchant felt more ill and miserable. He wondered what kind of death the king would invent for him, and went through almost as much torture, as he lay awake nearly the whole of every night thinking over the situation, as he would have suffered if the king’s executioners were already setting to work upon his neck. At last they were only one day’s march from Wali Dad’s little mud home. Here a great encampment was made, and the merchant was sent on to tell Wali Dad that the King and Princess of Khaistan had arrived and were seeking an interview. When the merchant arrived he found the poor old man eating his evening meal of onions and dry bread, and when he told him of all that had happened he had not the heart to proceed to load him with the reproaches which rose to his tongue. For Wali Dad was overwhelmed with grief and shame for himself, for his friend, and for the name and honour of the princess; and he wept and plucked at his beard, and groaned most piteously. With tears he begged the merchant to detain them for one day by any kind of excuse he could think of, and to come in the morning to discuss what they should do. As soon as the merchant was gone Wali Dad made up his mind that there was only one honourable way out of the shame and distress that he had created by his foolishness, and that was—to kill himself. So, without stopping to ask any one’s advice, he went off in the middle of the night to a place where the river wound along at the base of steep rocky cliffs of great height, and determined to throw himself down and put an end to his life. When he got to the place he drew back a few paces, took a little run, and at the very edge of that dreadful black gulf he stopped short! He COULD not do it! From below, unseen in the blackness of the deep night shadows, the water roared and boiled round the jagged rocks—he could picture the place as he knew it, only ten times more pitiless and forbidding in the visionless darkness; the wind soughed through the gorge with fearsome sighs, and rustlings and whisperings, and the bushes and grasses that grew in the ledges of the cliffs seemed to him like living creatures that danced and beckoned, shadowy and indistinct. An owl laughed ‘Hoo! hoo!’ almost in his face, as he peered over the edge of the gulf, and the old man threw himself back in a perspiration of horror. He was afraid! He drew back shuddering, and covering his face in his hands he wept aloud. ‘Why do you weep, old man?’ said one, in a voice as clear and musical as that of the bulbul. ‘I weep for shame,’ replied he. ‘What do you here?’ questioned the other. ‘I came here to die,’ said Wali Dad. And as they questioned him, he confessed all his story. Then the first stepped forward and laid a hand upon his shoulder, and Wali Dad began to feel that something strange—what, he did not know—was happening to him. His old cotton rags of clothes were changed to beautiful linen and embroidered cloth; on his hard, bare feet were warm, soft shoes, and on his head a great jewelled turban. Round his neck there lay a heavy golden chain, and the little old bent sickle, which he cut grass with, and which hung in his waistband, had turned into a gorgeous scimitar, whose ivory hilt gleamed in the pale light like snow in moonlight. As he stood wondering, like a man in a dream, the other peri waved her hand and bade him turn and see; and, lo! before him a noble gateway stood open. And up an avenue of giant place trees the peris led him, dumb with amazement. At the end of the avenue, on the very spot where his hut had stood, a gorgeous palace appeared, ablaze with myriads of lights. Its great porticoes and verandahs were occupied by hurrying servants, and guards paced to and fro and saluted him respectfully as he drew near, along mossy walks and through sweeping grassy lawns where fountains were playing and flowers scented the air. Wali Dad stood stunned and helpless. When morning dawned he woke, and found that the palace, and himself, and his servants were all real, and that he was not dreaming after all! If he was dumbfounded, the merchant, who was ushered into his presence soon after sunrise, was much more so. He told Wali Dad that he had not slept all night, and by the first streak of daylight had started to seek out his friend. And what a search he had had! A great stretch of wild jungle country had, in the night, been changed into parks and gardens; and if it had not been for some of Wali Dad’s new servants, who found him and brought him to the palace, he would have fled away under the impression that his trouble had sent him crazy, and that all he saw was only imagination. Then Wali Dad told the merchant all that had happened. By his advice he sent an invitation to the king and princess of Khaistan to come and be his guests, together with all their retinue and servants, down to the very humblest in the camp. For three nights and days a great feast was held in honour of the royal guests. Every evening the king and his nobles were served on golden plates and from golden cups; and the smaller people on silver plates and from silver cups; and each evening each guest was requested to keep the plates and cups that they had used as a remembrance of the occasion. Never had anything so splendid been seen. Besides the great dinners, there were sports and hunting, and dances, and amusements of all sorts. On the fourth day the king of Khaistan took his host aside, and asked him whether it was true, as he had suspected, that he wished to marry his daughter. But Wali Dad, after thanking him very much for the compliment, said that he had never dreamed of so great an honour, and that he was far too old and ugly for so fair a lady; but he begged the king to stay with him until he could send for the Prince of Nekabad, who was a most excellent, brave, and honourable young man, and would surely be delighted to try to win the hand of the beautiful princess. To this the king agreed, and Wali Dad sent the merchant to Nekabad, with a number of attendants, and with such handsome presents that the prince came at once, fell head over ears in love with the princess, and married her at Wali Dad’s palace amidst a fresh outburst of rejoicings. 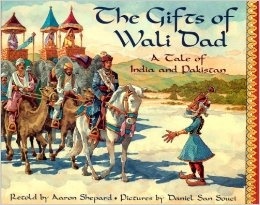 And now the King of Khaistan and the Prince and Princess of Nekabad, each went back to their own country; and Wali Dad lived to a good old age, befriending all who were in trouble and preserving, in his prosperity, the simple-hearted and generous nature that he had when he was only Wali Dad Gunjay, the grass cutter. I like to tell a story and only show the pictures later, letting the audience visualize their own pictures. Here are Ford's Peris and Wali Dad. Today's story and all I wanted to say about the Langs has gone quite long, but I first met the story through my friend Aaron Shepard, who produced not only a delightful book, but his website gives many extras such as a Reader's Theater version, posters, and insight into what went into his book. Another worthwhile picture book was also made by Kristina Rodanas and she calls it The Story of Wali Dad, so it makes a great story to tell, then show the two picture books, and the Ford illustration to compare and contrast and get reactions. Truly we have many gifts in this story that supposedly came to Lang from a Major Campbell stationed in the Punjab.